Hello and welcome to Just A Simple Home! I am so glad you are joining me in this space and I hope you will find the inspiration and encouragement you are looking for as a wife and mother. Just A Simple Home is a faith based community and the mission here is to inspire, educate, encourage other wives, mothers, and homemakers in their never ending journey. As wives, moms, and homemakers, we can often be too hard on ourselves and feel as if we are always falling short. We tend to scour Pinterest and other blogs, and find ourselves in the comparison trap. The truth is, we all fall short, and it is only through God’s grace that we make it through each day. It is my hope that you can come here and feel refreshed and encouraged. In the past, I have struggled with comparison and the feeling that I need to present myself and family a certain way to the world. I have felt the pressure of a Christian, large family, homeschooling mom…and I believed that I had to have it all together…I put on a front, even when my inside world was crumbling. I didn’t let people in and I let them get to know me on the surface, the way I wanted to be seen. I have learned a lot about myself over the years and God has been working on me, molding me and opening me up. I can see His hand in all of it and am encouraged by the way I see Him leading me and changing me. 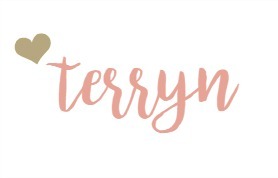 I created this space as a way of opening myself up and sharing my story with other women, in hopes of encouraging those who feel the same way. I admit, I am so far from where I want to be…as a Christian, a wife, a mother, a homemaker and homeschool mom. But I am ok with being a work in progress and growing in my roles daily. I am a mom to 7 young children, and we homeschool. I am also the wife of a entreprenuer – B personality man, and I am more the A type with some entrepreneur qualities. I can create all the systems in the world, but I will STILL have piles of papers on my counters, and laundry on my couch. And the animals…let’s not even go there. So, I hope you’ll join me on this journey full of twists and turns. I promise to always be real with you, and I would love for you to be open with me as well.